I love donuts! 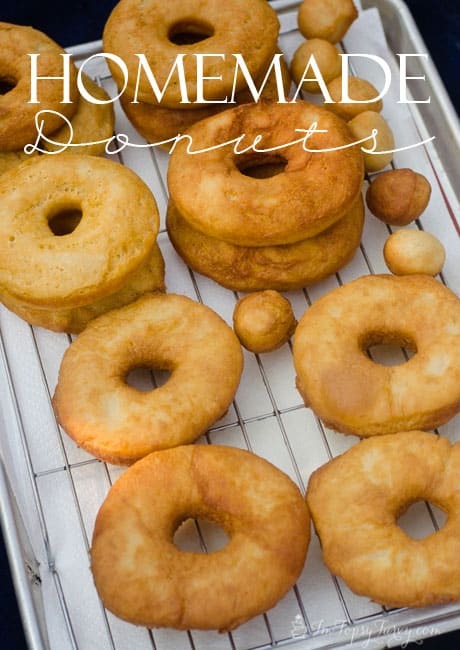 Earlier this summer I had the most amazing made-to-order donuts and ever since I’ve been obsessed with fresh donuts! 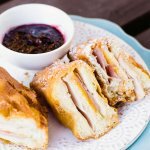 I’ve been trying a few different recipes all summer and I’m FINALLY happy with one. 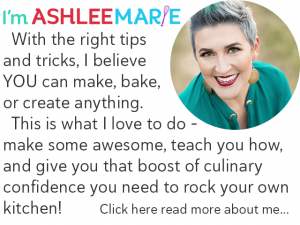 And today I’m over at Skip to my Lou as part of her summer series sharing the donut picnic party we had including all the glaze recipes we love to use! 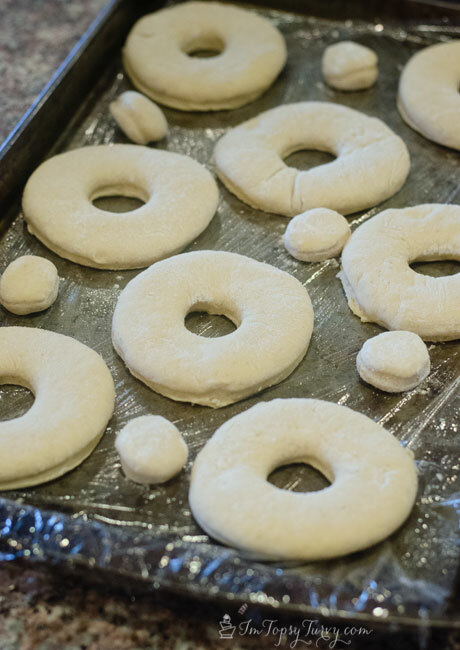 These are a basic raised donut, meaning they are made with yeast and you let them rise before frying them. 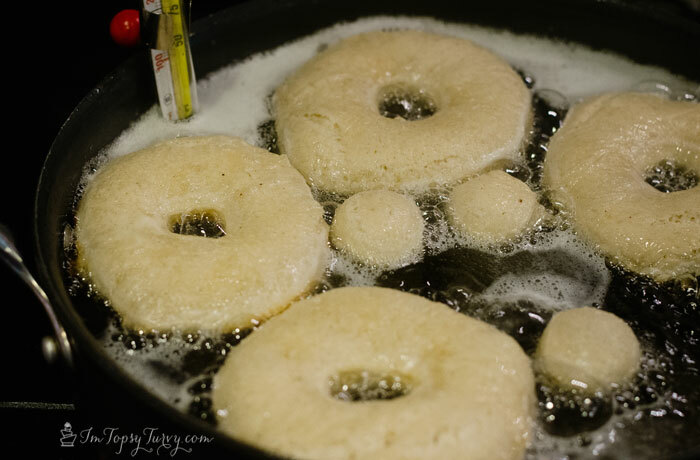 (vs baking or dropping them into the oil, other classic donuts). 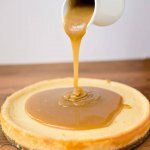 I’m working on some recipes for the other styles but I’m not ready to share them yet! In your mixer, with your paddles, add the yeast, milk and 2 C flour and mix until smooth. Then let it rest, covered, in a warm spot for 20 mins. This is what it will look like at the end of the rise. 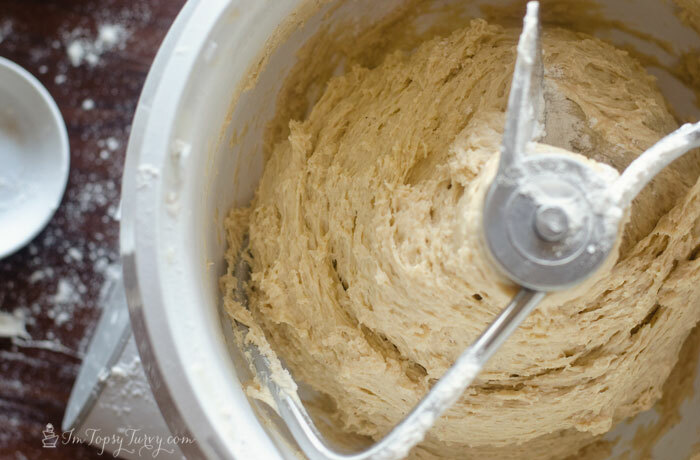 Mix to deflate and switch over to a dough hook. Add the sugar, salt, vanilla, eggs and egg yolks and mix on low until smooth! 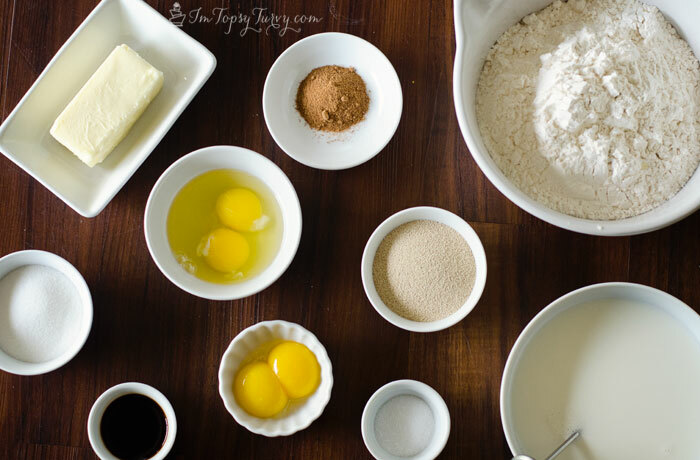 Now your’ll start adding the flour, 1/2 cup at a time. 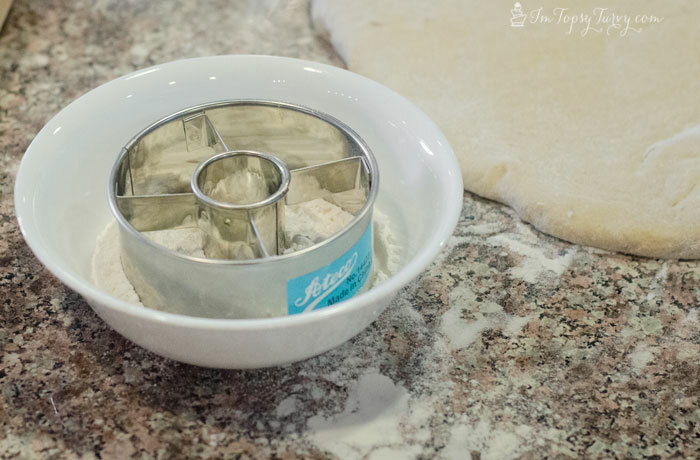 Keep adding flour and mixing on low until the dough pulls away from the sides. It will still be very moist, and a little sticky, but not too much. 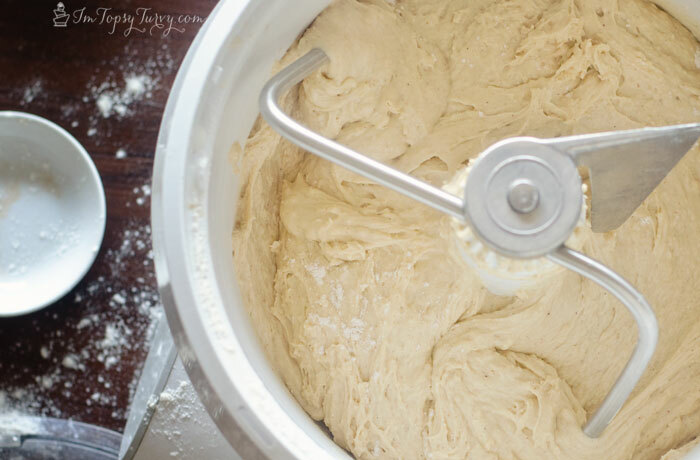 Cover the dough and refrigerate for at least 1 hour, up to 12. Prep some pans by lining them with plastic wrap and spray them down with some no stick spray, like Pam. Start heating 2 inches of oil over medium high. 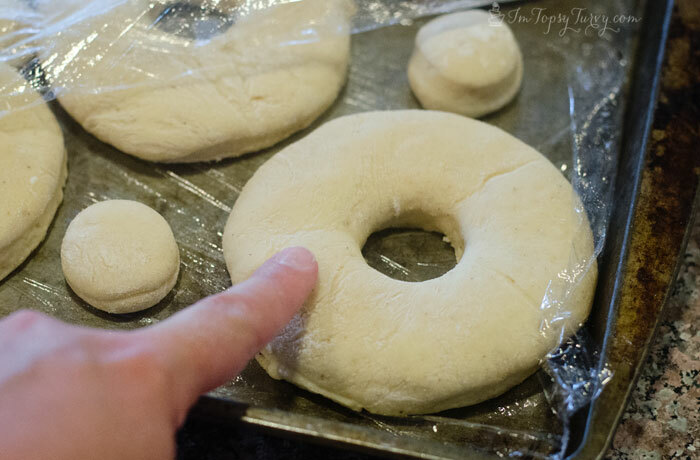 For traditional donuts you want to roll it out 1/2 inch thick. 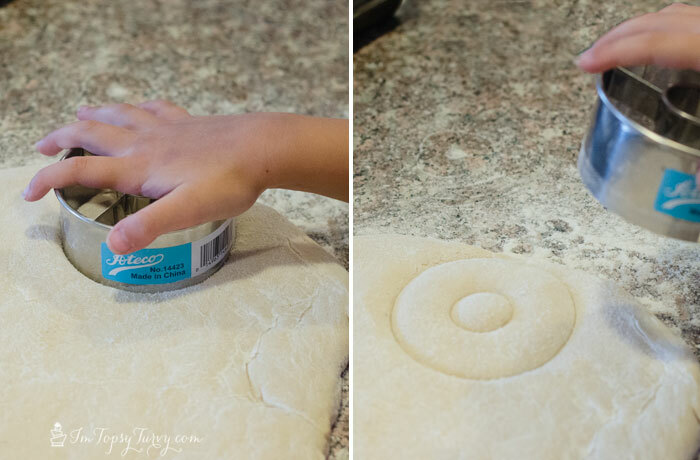 Take your cutter (I like the 3 1/2 inch, but a 3 inch cutter works well too) and dip it in flour before each cut. Press the cutter all the way down, the twist a bit, then pull up. This is great for the kids to help with. Even Baby Boy could do it, super easy. 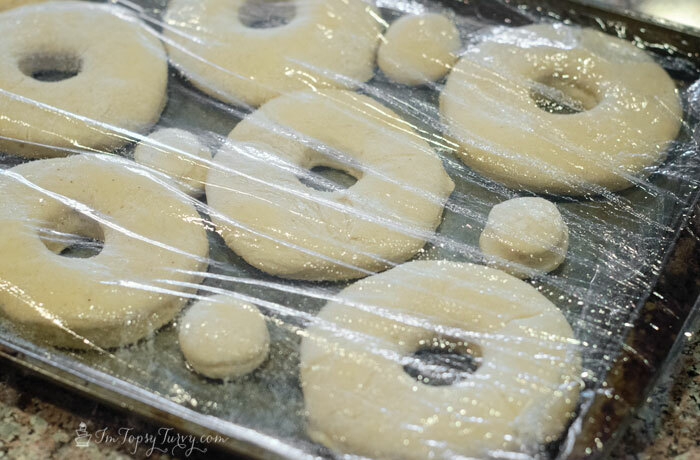 place the donuts and the donut holes on the plastic wrap, make sure there is space between each one. You want the oil to be at 360 degrees, for me I maintained 360 between medium and medium/high. 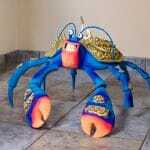 It’s tricky, I wish I had a deep fryer, it would be easier, but alas, that’s a toy I don’t have yet! 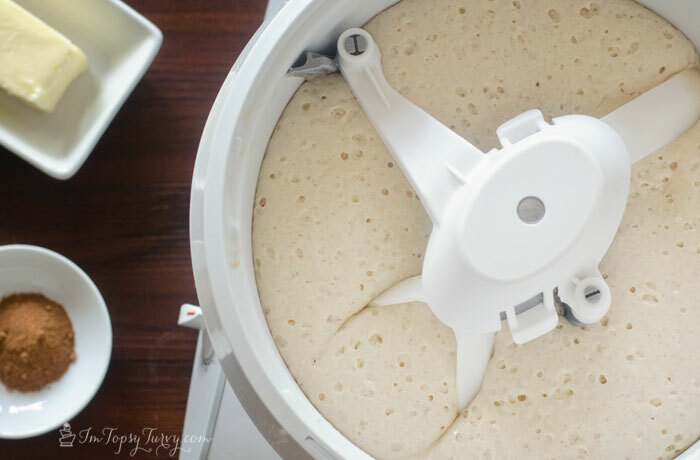 Check every 5 mins by pressing a finger into the dough and if it springs back fast it needs more time, springs back slowly and it’s ready! Fry for 1-2 mins on each side. For me 1 1/2 mins on each side was perfect! Flip to the second side carefully, you don’t want to splash hot oil everywhere, I used a wide slotted flipper. 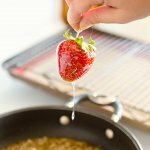 Pull out and let drain on a wire rack over paper towels (I like to do it in a jelly roll pan to keep the grease contained. And now your ready for the glaze! 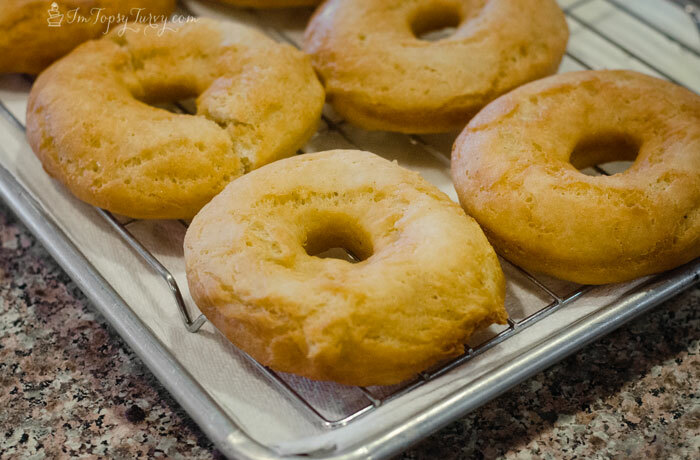 I’m sharing these glaze recipes over at Skip to my Lou today! 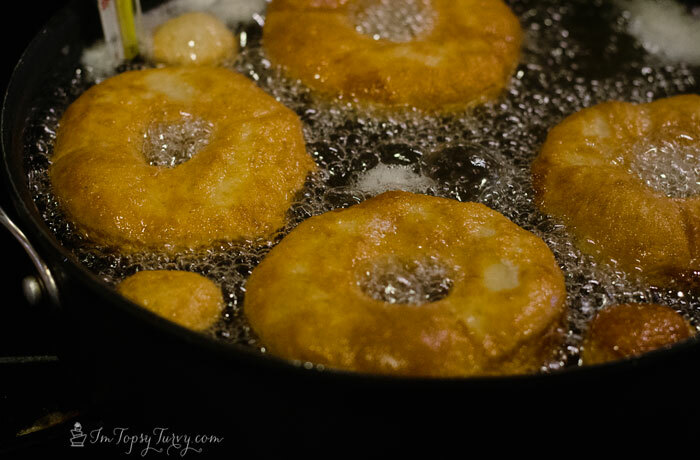 My favorite is to roll them in cinnamon and sugar while they are still warm. But my kids love the glazes. 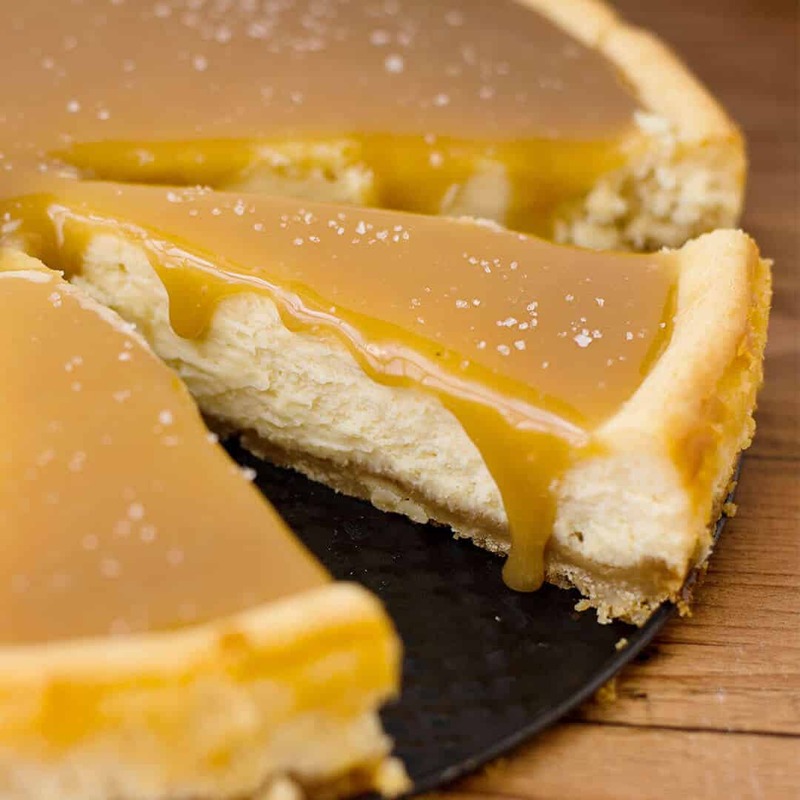 Our favorite are vanilla, chocolate and maple. 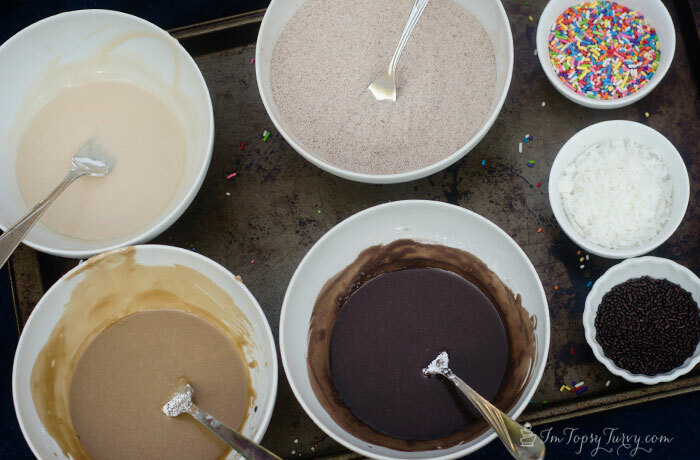 And of course top them with any extras, like sprinkles, coconut, and more! 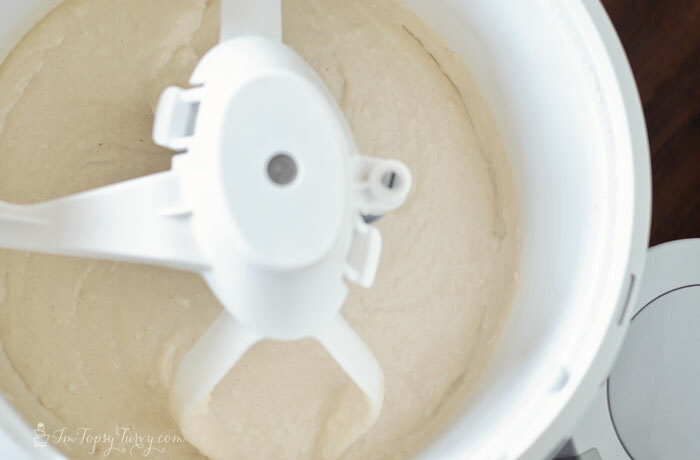 In your mixer, with your paddles, add the yeast, milk and 2 C flour and mix until smooth. Then let it rest, covered, in a warm spot for 20 mins. 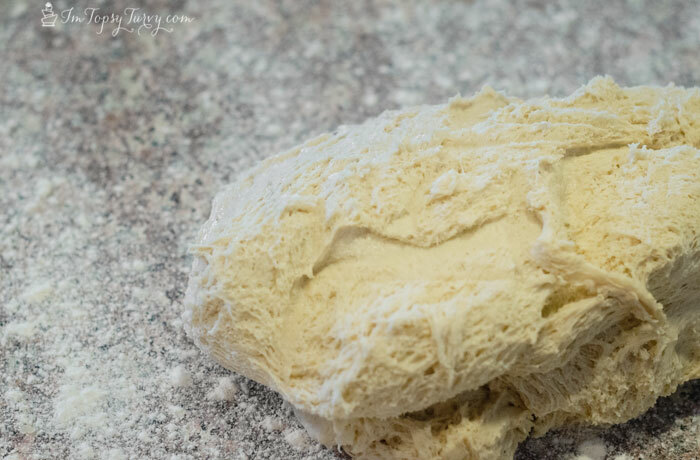 Mix to deflate and switch over to a dough hook. Add the sugar, salt, vanilla, eggs and egg yolks and mix on low until smooth! 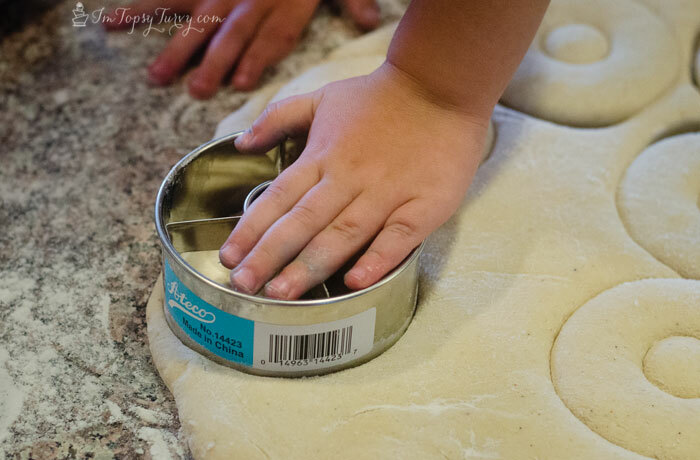 Now your'll start adding the flour, 1/2 cup at a time. 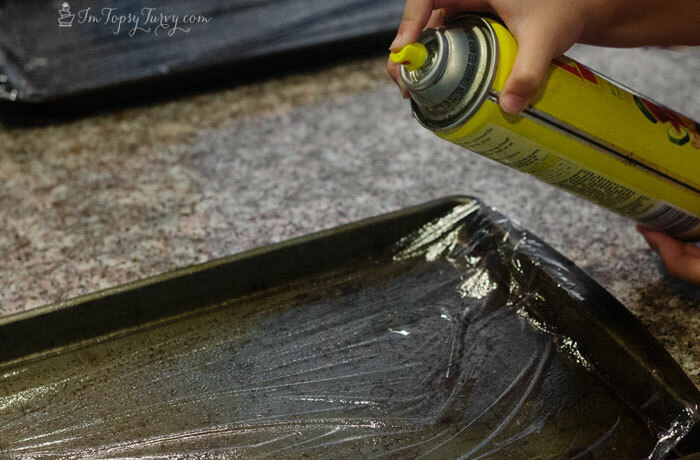 Prep some pans by lining them with plastic wrap and spray them down with some no stick spray, like Pam. Start heating 2 inches of oil over medium/high. 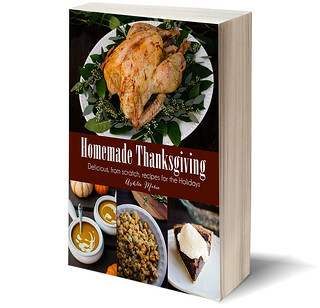 http://www.amazon.com/gp/product/B0000DDYZN/ref=as_li_tl?ie=UTF8&camp=1789&creative=390957&creativeASIN=B0000DDYZN&linkCode=as2&tag=imtotu-20&linkId=BYKYDZWCYOBI4TJE target="_blank" rel="nofollow"], but a 3 inch cutter works well too) and dip it in flour before each cut. You want the oil to be at 360 degrees, for me I maintained 360 between medium and medium/high. 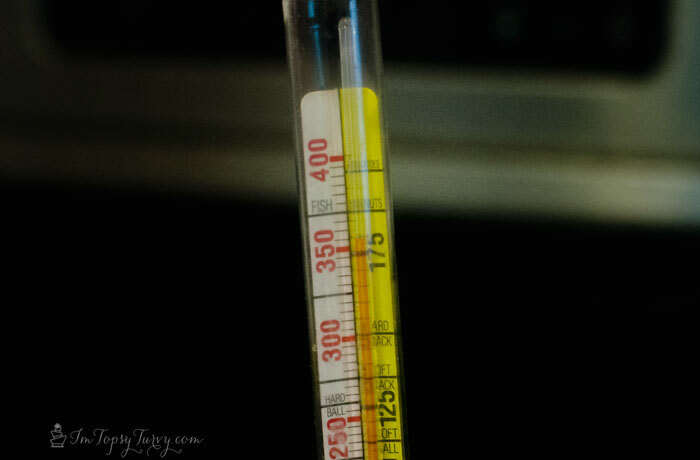 It's a little tricky, just keep the thermometer in to keep an eye on it. 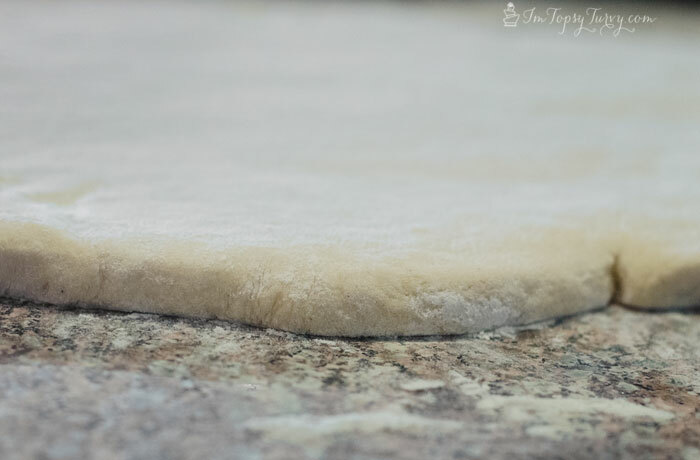 Check the dough every 5 mins by pressing a finger into the dough and if it springs back fast it needs more time, springs back slowly and it's ready! Flip to the second side carefully, you don't want to splash hot oil everywhere, I used a wide slotted flipper. And now your ready for the glaze! 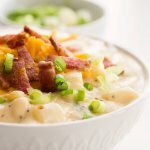 you mentioned butter but that ingredient is missing in the method part? does the butter go in the dough?